Polished For Days Solar Flare (April 2018 Polish Pickup Pack), 2 coats plus 2 coats top coat. 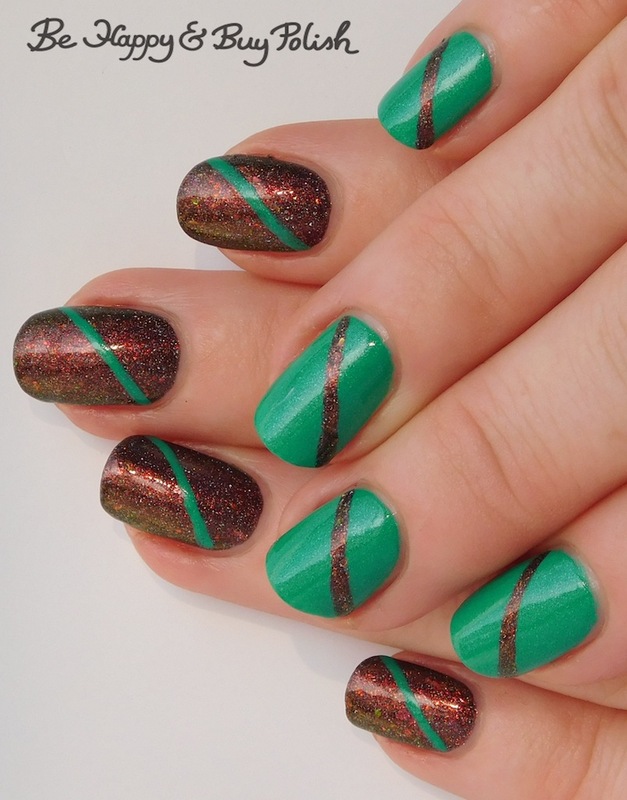 This is a blackened base polish that shifts from orange to green, with orange to green flakies and with scattered holographic effect. I did need two coats of top coat for a smooth finish. It wasn’t exactly rough after 1 coat, but it wasn’t super shiny smooth. Moonflower Polish Dip in the Pool, 2 coats, a bright green-blue with blue shimmer. This could have been a One-Coat Wonder. I was worried about nail staining so I doubled up on base coat on my right hand. When I removed it, I did not have any staining. Posted in blog business, Indie Polish, Mainstream Polish, Nail Art, Pedicures, Press Sample	by Jessica W.
I was taking photos today of my nails (as a blogger does) and looked down and saw how awesome my pedi looked so snapped a quick picture to share with you. If you hate feet, don’t click through to see them! Polished for Days Secret Garden, 2 coats plus top coat. It had good consistency. Morning everyone! If you’ve celebrated Thanksgiving, I hope you didn’t go too overboard and aren’t uncomfortably full still. 😛 Today’s polish is Polished for Days Deephaven, let’s take a look. 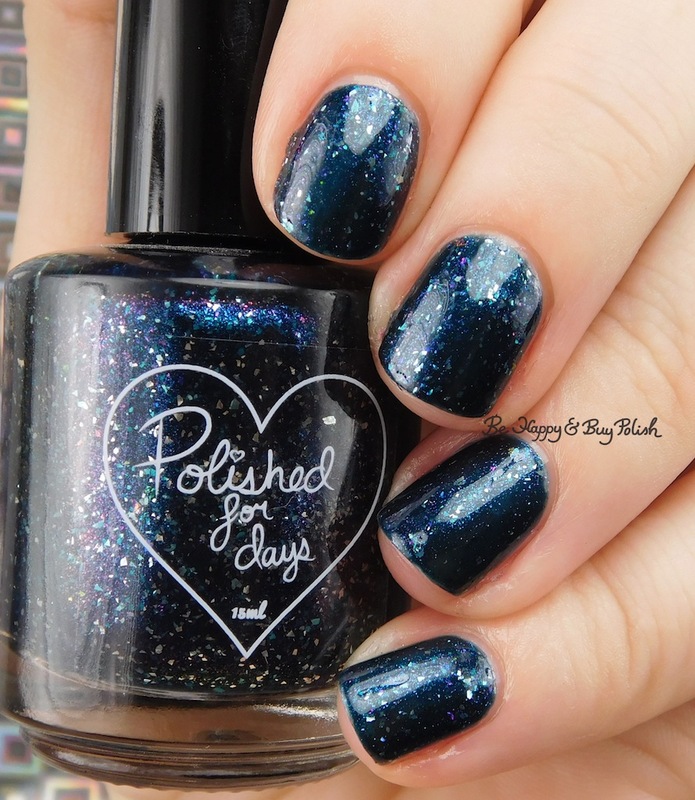 Deephaven is a deep blue teal base polish with teal and blue flakes, and shimmer that shifts from blue to purple. Formula was a little thin but it self-leveled well. This is 2 coats plus top coat. 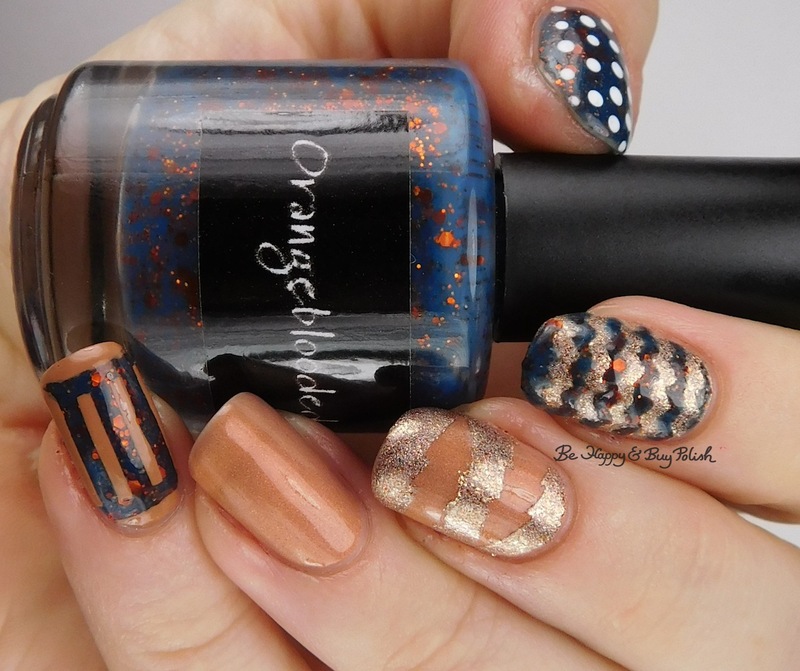 Let me know what you think of this polish! 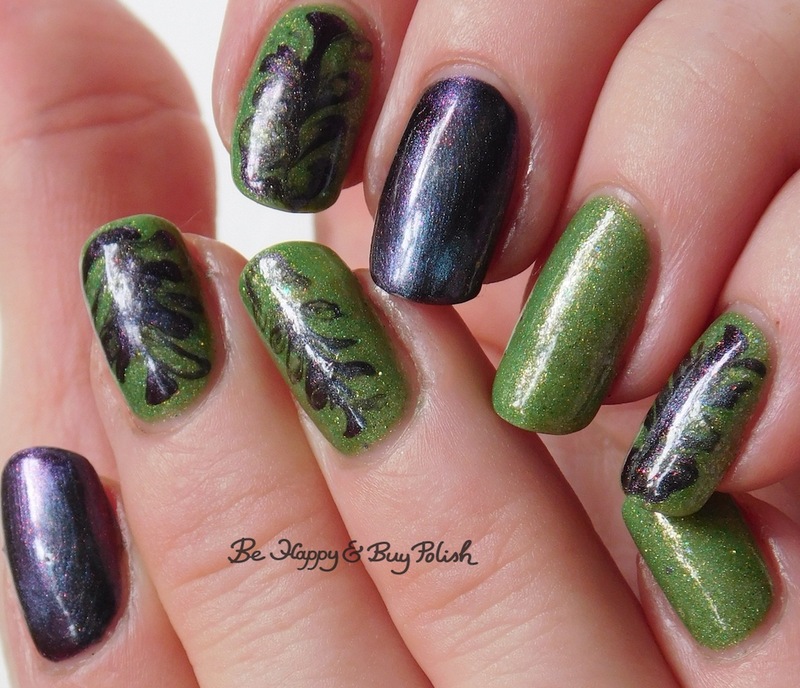 I haven’t featured The Don Deeva as in a full manicure (you might remember this smoosh manicure) yet on the blog, so I guess it’s high time I did! Today’s manicure features The Don Deeva Varnish I’m Prada You’re Nada, Polished For Days Bali [gift], and Dreamland Lacquer Coral of the Story II [Hella Holo Customs]. Fall Manicure with CrowsToes Orange-Blooded, Polished For Days Son of a Nutcracker, Vapid Lacquer Sweaters N Denim, OPI Going My Way Or Norway? Hmmm a fall manicure when Christmas is right around the corner? I know, I know, I’m behind in showing you my manicures. But oh well. At least I’m showing it to you in the same year I had it on my nails! 😉 For this manicure I used: CrowsToes Nail Color Orange-Blooded, Polished For Days Son of a Nutcracker [gift], Vapid Lacquer Sweaters ‘N’ Denim, and OPI Going My Way or Norway?